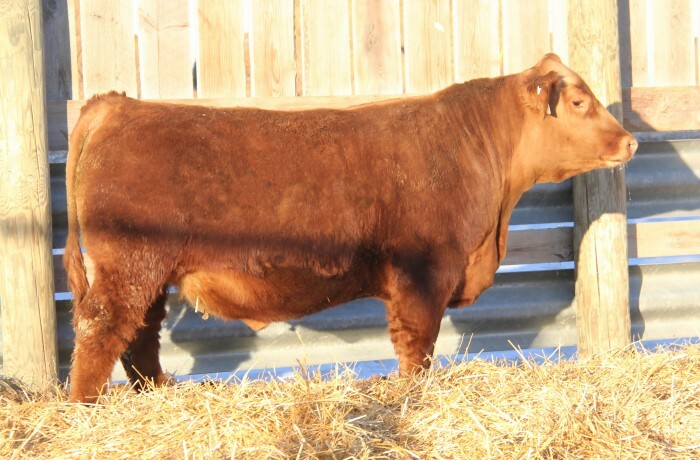 CDI Ace 223B is an outcross, homo polled, herdsire prospect that we are retaining to move forward with the THR Northern genetic line. The Northern sire group met our expectations in terms of added body, muscle expression, and soundness, all in an outcross pedigree. Ace has been a favorite since birth and his beautiful 701T dam has a picture perfect udder and has consistently transmitted her style and marbling into her progeny. He successfully jumped through all the traits we measure for and will see extensive use on both heifers and cows.